MOVE-IN READY! 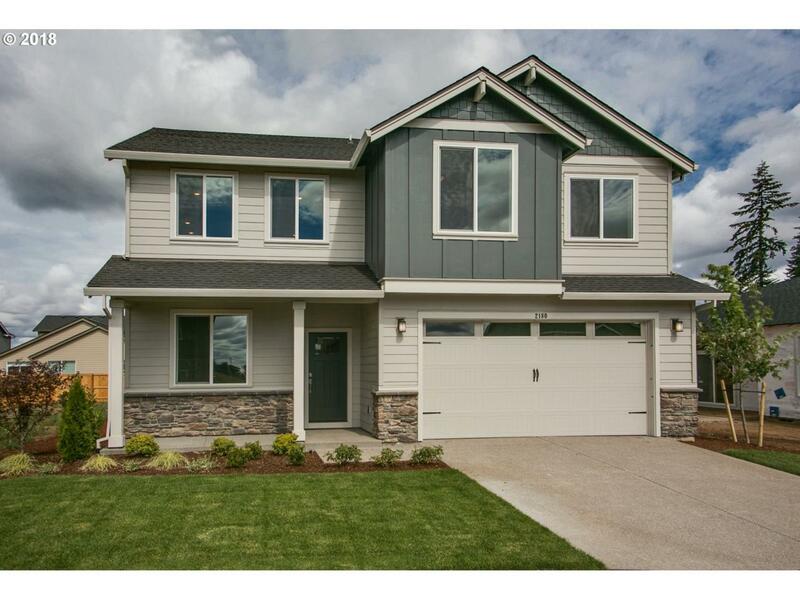 !Model homes open Mon-Fri 11-6 Sat & Sun 11-5.This home has it all!The 2628 plan features 4 or 5 bedrooms,2.5 baths,a main floor den & mud room.The open kitchen includes beautiful quartz counters through out,under-mount sink,&shaker style cabinetry. Upstairs,three bedrooms,huge laundry.Gorgeous master w/full tile shower& 6' soaking tub. Landscaped w/sprinklers,fencing front & back, covered patio & A/C.